Sindhu Ma song was sung by A.R.Rehman and Sanah Moidutty , its lyrics were penned by Javed Akhtar. The river Sindhu is praised for its splendor in this song. The singers had sung the song magnificently. Hrithhik Roshan and Pooja Hegde played in the major roles. This historic love story is made by Ashutosh Gowariker (director), Siddharth Roy Kapoor & Sunita N. (producers). 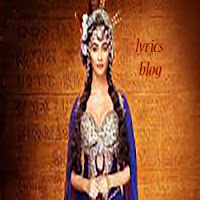 Tag on the lyrics of Mohenjo Daro Sindhu Ma.